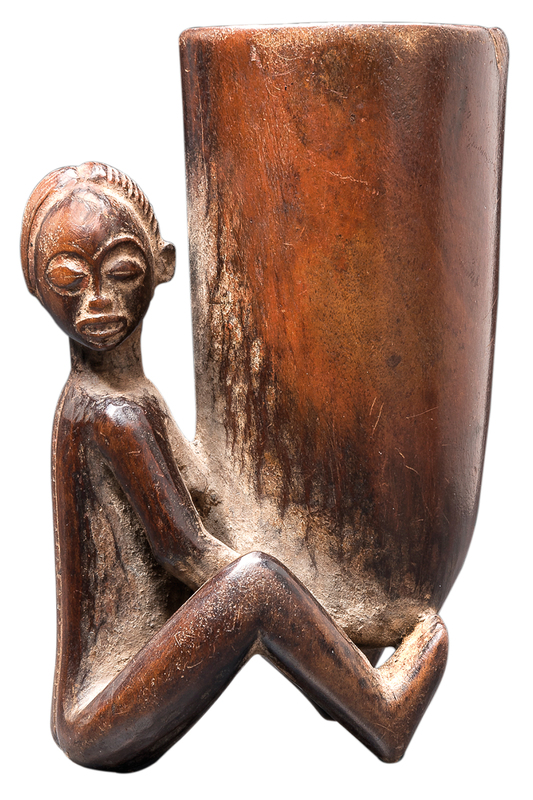 Key figures on the African and Oceanic art scene, Béatrice and Patrick are offering their collection at auction. 43 precious miniature sculptures will be offered by auction house Binoche & Giquello at Drouot on Thurdsay 15 November. 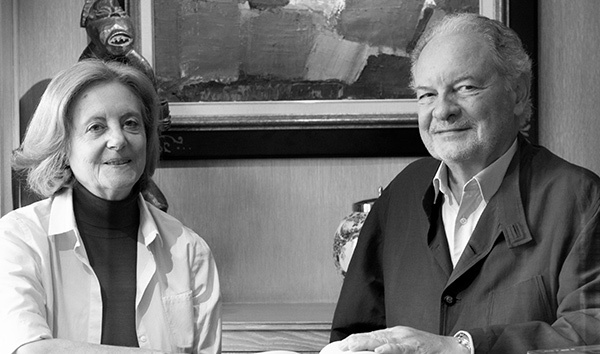 Patrick Caput, international consultant and expert for African and Oceanic arts and his wife Béatrice have built their collection with passion for 50 years. All types of miniature artefacts will be featured, from daily objects to precious and fetish works of art. Béatrice and Patrick Caput had very specific criteria when selecting an item to join their collection. It had to be ancient, to have had a story and then only, it had to reveal an emotion, either when touching the wood or just when admiring the beauty of the sculpture. Patrick Caput is the son of a doctor who also had a passion for painting, poetry and collecting -mainly Chinese art-, and of a mother whose family had long lived in India. Patrick Caput has grown up in a family who had an open-mind towards foreign cultures. The young man started collecting very early, first focusing on Indian, Iranian and Chinese bronzes. He soon realised, however, that a collector must focus on a specific category. From then, he chose African and Oceanic arts, to later become one of the finest connoisseurs of these civilisations and their artistic production. At 18 years old, Patrick Caput met some of the greatest collectors of the Parisian scene –the Ratton brothers, René Rasmussen, Robert Duperrier– with whom he sharpend his knowledge and eye. The galleries of Saint-Germain-des-Prés, Brussels and New York are the main places where he looked for precious works. As head of department in a multinational company for 15 years, Caput lived in Africa several times. His numerous travels have allowed him to understand and appreciate some of the continent’s traditional cultures. « During [his] stays in Paris, [Patrick Caput] would often visit the galleries in Saint-Germain. [He] was always discerning in [his] purchases and sometimes very brave with Béatrice giving her blessing. 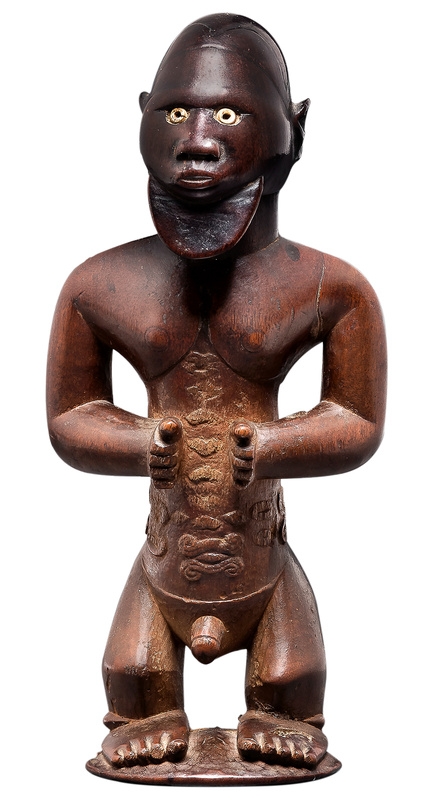 [He] knew everything there was to know about African, Oceanic and Indonesian art ». A tireless and thorough collector, Patrick Caput left his international career during the 2000s to participate in building Sotheby’s’ African and Oceanic art department in Paris. He is now an independent expert. On 15 November, Patrick and Béatrice Caput will offer the part of their collection dedicated to miniatures. This decision results from a strong belief of the collectors: a collection must live and continue to be renewed.